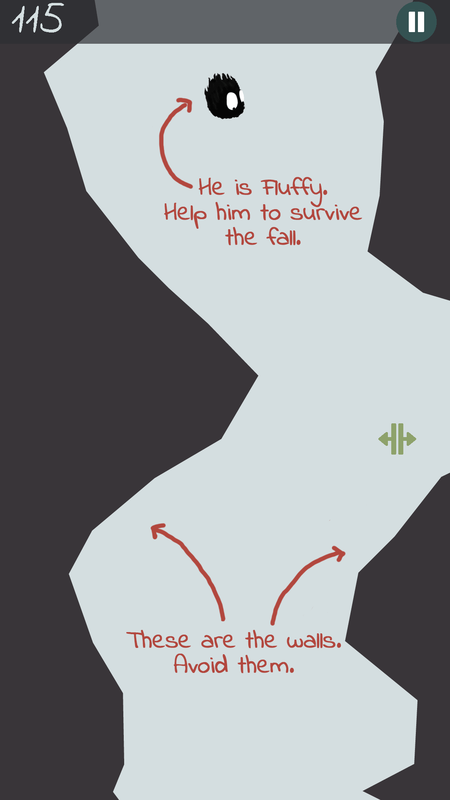 Your character, Fluffy, falls into a chasm which is getting narrower and narrower. Moreover the speed of the fall is increasing. Tilt your phone together with the map to avoid both walls. 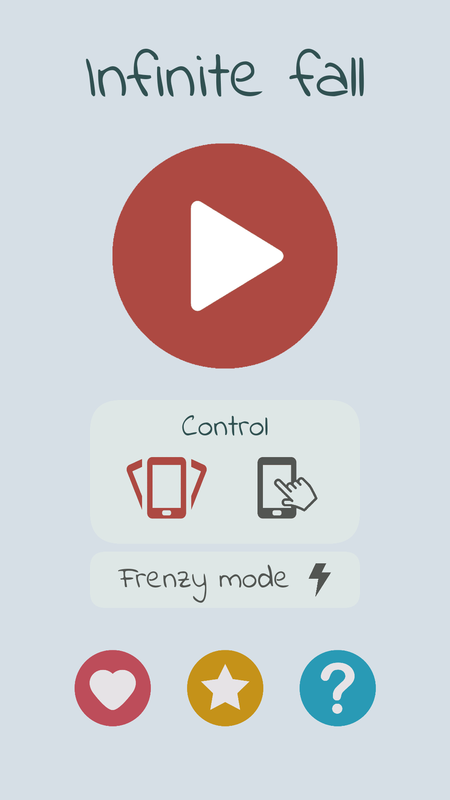 You have two possibilities for control: • You can use the gyroscope to control the map and keep your character from hitting the walls by tilting your phone in he correct direction. • You can use the touch screen too. 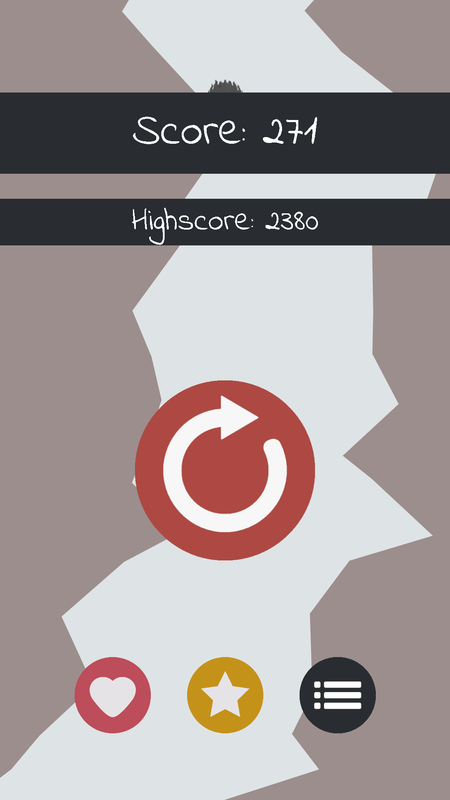 By tapping the sides of your screen you can change the direction of the fall. The nearer to the side of your screen your finger is, the bigger the change in direction will be. 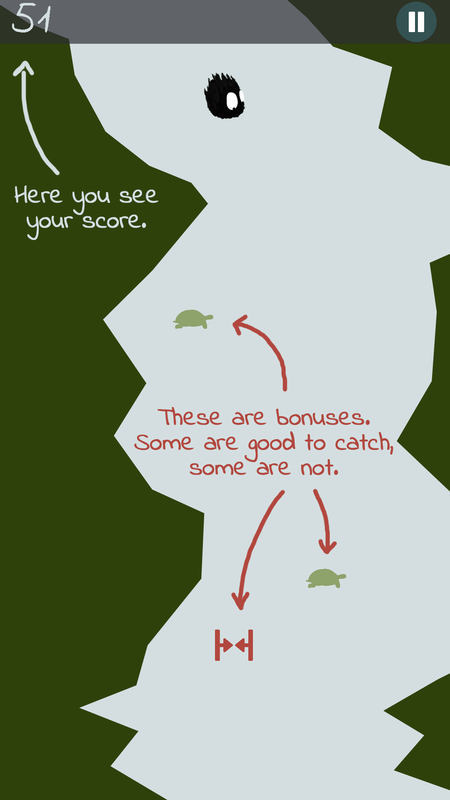 During the fall you can collect bonuses, which have impact on the game. 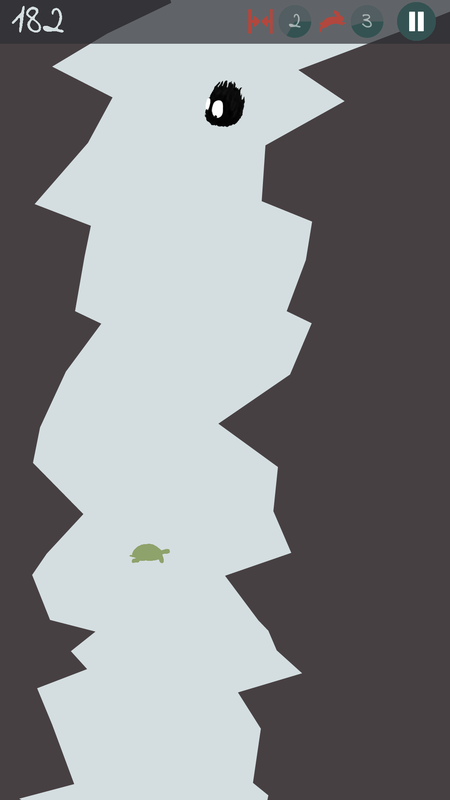 (Make the fall faster/slower, make the gap bigger/tighter or give you some bonus points). The fall has no end, if you are clever enough. It lasts until you hit a wall. Try it, and find out how good you are!